For more information on the Titanic first class and other 20th century maritime history of the North Atlantic, see The Hunt for Hitler’s Warship © 2015 by Patrick Bishop. It is available now from Amazon or Barnes & Noble. 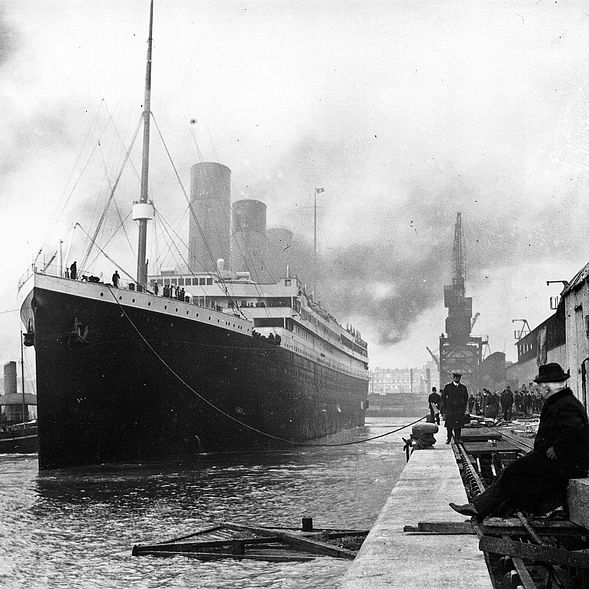 The maiden voyage of the Titanic had attracted a number of rich passengers, which made up the Titanic first class. 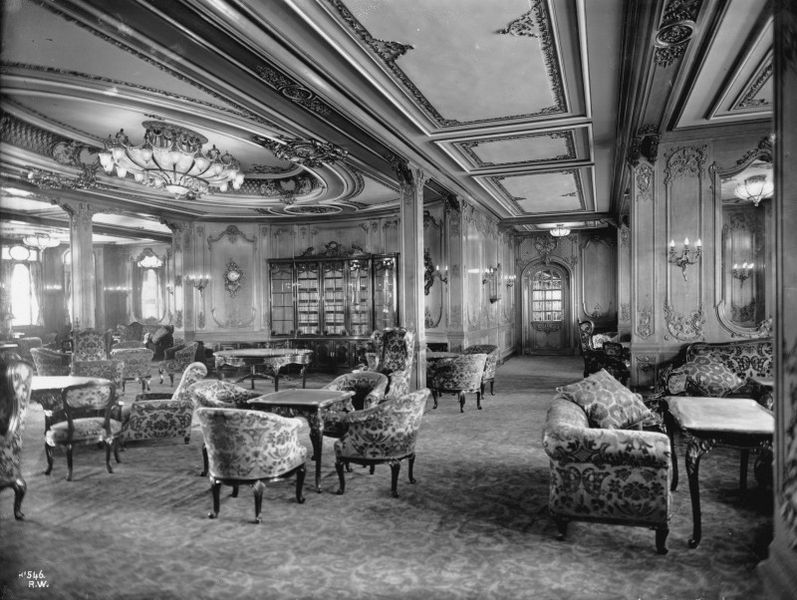 A first class parlour suite cost £870 while a first class berth cost £30. The following are some of the more well-known first class travellers. 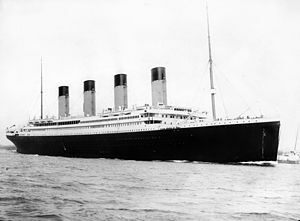 The richest passenger aboard was multi-millionaire John Jacob Astor. He was travelling with his second wife, Madeleine, who was five months pregnant. JJ Astor did not survive but his wife did. Lady Duff Gordon was a notable dress designer whose clientele included Isadora Duncan, Oscar Wilde and the British royal family. The Duff Gordons both survived but were called to testify at the court of inquiry and explain why their boat contained only twelve people. During the inquiry they were accused and cleared of bribing crew members not to allow more people into the boat. Molly was the daughter of a poor Irish immigrant family whose husband struck rich when mining for silver. She was travelling home to America aboard the Titanic. She survived the disaster in lifeboat number 6 and earned her nickname because she took control of the boat, kept the women rowing for seven hours and gave her furs to keep others warm. There were 325 first class passengers on board – 175 men, 144 women and 6 children. 202 first class passengers survived – 57 men, 140 women and 5 children. For more information on the Titanic first class and other facts about 20th century maritime history of the North Atlantic, see The Hunt for Hitler’s Warship © 2015 by Patrick Bishop. To order this book, please visit its online sales page at Amazon or Barnes & Noble.